Bressanone is probably better known as Brixen, the German name for the town, since the majority of the population speak German even though the resort is in Italy - and not to be confused with another ski resort at Brixen in Austria. It is a substantial town with a long history, situated where the valleys of the Eisack and Rienz rivers conjoin. The ski area lies on the mountains of the East of the valley, below the 2562m Plose, which gives the ski area its name. The base station is actually in a small village outside Brixen called St Andra and there is about another 40km of piste in other neighbouring villages. 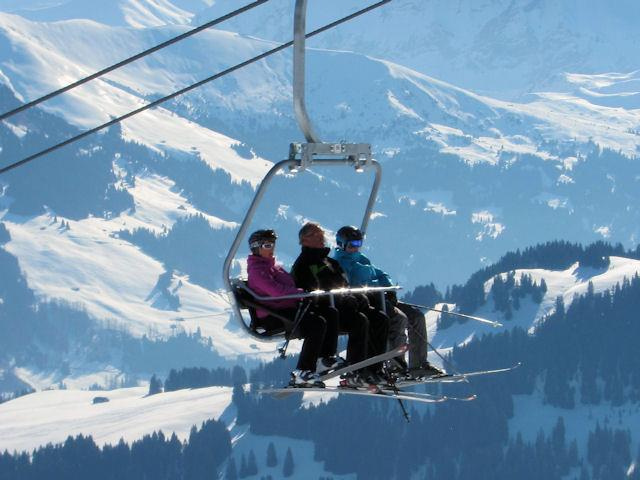 It is a nice ski area, with most ski runs high, above the tree line and not requiring the use of surface lifts. Brixen/Bressanone station is on the line from Brenner to Bolzano, and there are frequent trains, including through trains from Innsbruck and Verona Porta Nuova. Innsbruck is about an hour and a half away. There is a skibus which gets you from the station to the lifts in about 15 minutes. The bus also services several other villages and stops in Brixen but costs 2 euros unless you have a Brixencard. Plose Brixen has the longest ski run of the Dolomites, with a length of 9 km and a vertical drop of 1400m. 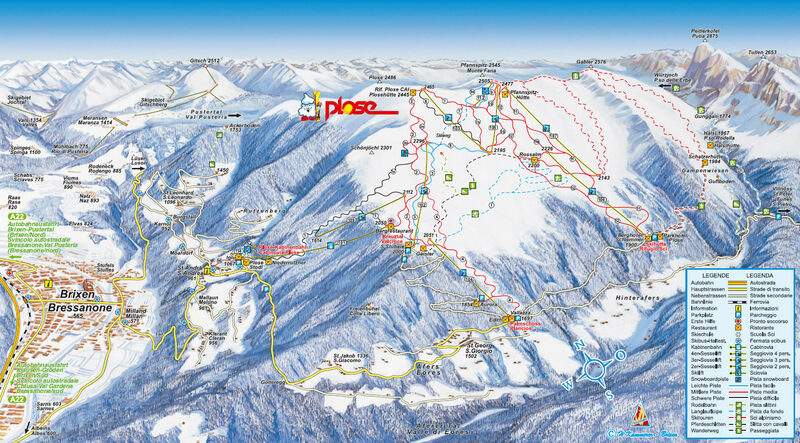 Did you ski Plose Brixen or snowboard in Plose Brixen? What did you think? Have you taken the train to Plose Brixen? Do you have any tips on accommodation in Plose Brixen or the apres ski? Is there anywhere else you have taken the train to ski? if so, please contact us and share you experiences using the contact link at the foot of the page.